With over 40 years combined experience in General construction and remodeling, DryFix Inc. is a full one stop shop for all your residential and Commercial project needs. Edwards Contracting & Management is a professional licensed contractor. With over 20 years of experience in the field, they have seen it all. Our principles are based on honesty, integrity, attention to detail, and open/straightforward communication. Our mission is to partner with clients to understand their goals and realize their vision. With over 15 years of experience, AML Leon Construction is a well established San Diego General Contractor. Over the last decade, we have provided a fantastic remodeling experience for homeowners. LeBoeuf Biasoti provides licensed & bonded residential remodeling with design-build services. We build your dreams. Attention to creative detail is our strategy utilizing our 32 years of experience. Serving Southern California and specializing in custom home construction, Pence Building can bring your dream home to a reality. Call us today to inquire about our superior service and quality homes! San Diego Area General Contractor - Best of Houzz 2014-2015! We build “High-end” Custom homes and can meet any remodeling needs. Our attention to detail and knowledge of our craft sets us apart from our competition. Home Remodeling, Additions, Kitchen, Bathrooms. Fire and Water Damage Restoration. JB Home Improvement, Inc. is a full service design and remodeling company. Whether you are considering a kitchen remodel or bath remodel, room addition, entire house remodel renovation or simply want to replace your kitchen cabinets, we can help. In short we can handle everything including the kitchen sink. The JB Home Improvement team has spent the last 35 years in the construction industry working in San Diego County to build a highly reputable business known for providing quality work in a professional manner. Our staff is committed to making your project a positive experience that increases the value and enhances the enjoyment of your home. JB Home Improvement is an Authorized Dealer of Elkay Cabinetry! We represent a variety of cabinetry styles with lines like Yorktowne and Design-Craft. If you like Innermost or Schuler you will love what we can show you in Yorktowne, Design-Craft or Medallion. Over the years Jim has put together a team of craftsmen who work together to make sure that every project is done to the highest standards. At Adrian Woodworks, we only use high-grade quality materials for our cabinets with the newest available products on the market, such as soft close hinges and drawer slides. RDB believes in Peace Of Mind by maintaining the facilities to provide in one place creative quality designs, plans/permits, & material selections. We simplify by providing everything in house. Berg Construction is a California licensed general contractor dating back to 1985. It is the goal of Berg Construction to establish a clear understanding of our client's wishes. If you're on the brink of a large home improvement project, remodel, or new build, you'll likely want to hire a general contractor in Del Mar Heights San Diego, CA. These professionals manage all aspects of the job to ensure it's completed on schedule and to your satisfaction. Whether you’re trying to find Del Mar Heights San Diego building contractors for a new construction, or home improvement contractors to spruce up your existing place, it’s important know exactly what role they will play in the project. Read more below for a list of must-ask questions. General, or construction contractors, are often known as project managers. They oversee the entire remodeling or new home construction project and facilitate all day-to-day tasks that move it toward completion. A Del Mar Heights San Diego general building contractor will work with your architect to review plan as you build a house and ensure everything is in place before work is started as well as arrange for permits and necessary inspections. 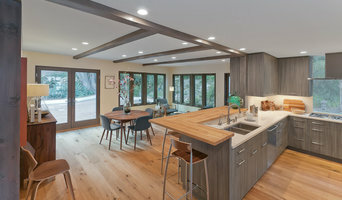 While good local home improvement contractors in Del Mar Heights San Diego will have the skills to handle certain tasks onsite, such as carpentry, he or she is also responsible for hiring subcontractors for the majority of jobs, such as electrical work, painting or plumbing. In addition, the general contractor should be on-site regularly to inspect the progress and resolve issues. Here are some related professionals and vendors to complement the work of general contractors: Architects & Building Designers, Interior Designers & Decorators, Landscape Architects & Landscape Designers, Kitchen & Bath Designers, Specialty Contractors. Home remodeling contractors are a must for successful completion of a renovation. Because of this, it's essential that you do your homework before deciding on the right general contractor in Del Mar Heights San Diego as you remodel or build a house. Inspect bids carefully. Was it ready when the contractor promised it? Was the bid for building a home unusually high or low? Each of these things can be very telling: A late bid may reflect timing standards, and an off-the-mark bid could be code for a pricey premium or a deliberate underbid to score the remodeling job. You should call references, carefully read reviews and visit completed projects in Del Mar Heights San Diego, CA to see if they’re what you expect for your job. Once you do secure your local Del Mar Heights San Diego contractors, read the contract very carefully to be sure everyone is on the same page. 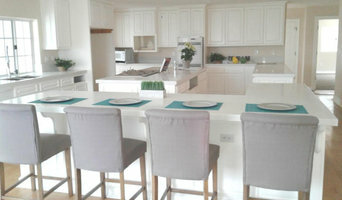 Find a Del Mar Heights San Diego contractor on Houzz. Narrow your search in the Professionals section of the website to Del Mar Heights San Diego, CA home contractors. You can also search for photos in Del Mar Heights San Diego, CA and contact the Del Mar Heights San Diego general contractor who worked on the project.